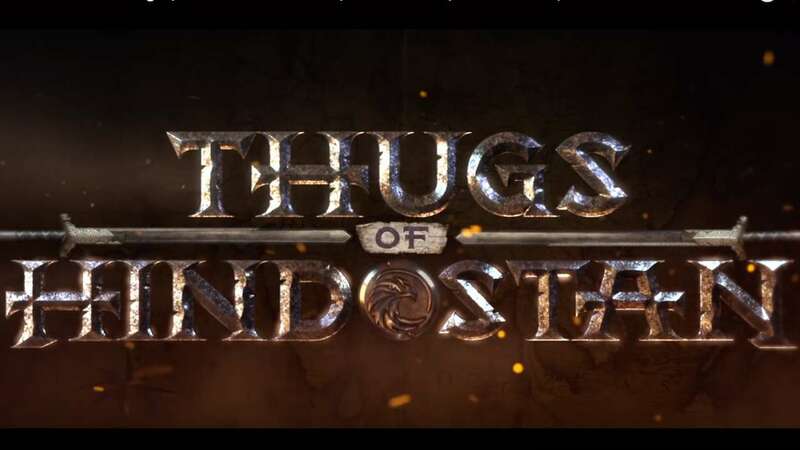 Thugs of Hindostan, Aamir Khan and Amitabh Bachchan’s first collaboration on-screen had huge hopes and expectations to cater to. The trailer excited many, though it wasn’t very fulfilling. 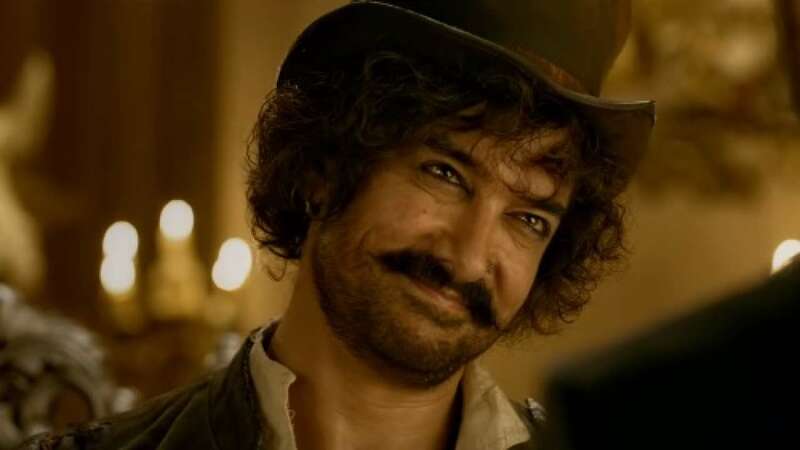 Now, being an Aamir Khan film and being released solo on Diwali weekend, the movie may be earning well at the box office, but it sure isn’t earning accolades, not from the viewers, not from the critics. 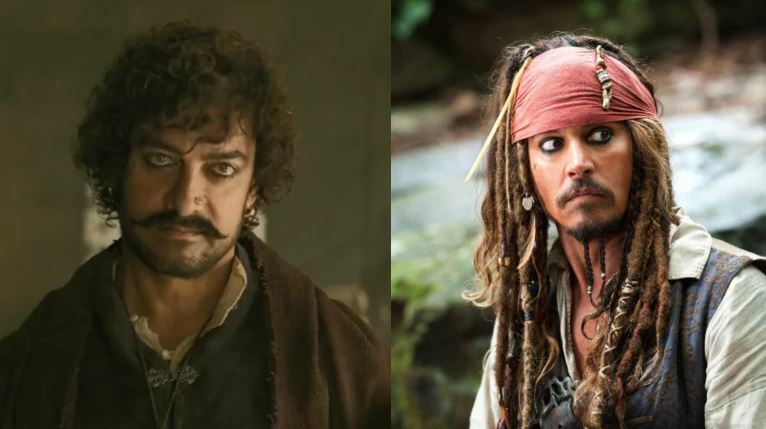 The moment its trailer released, there was a direct comparison to the Pirates of the Caribbean and Aamir Khan’s look and character in the film seemed very equivalent to that of Jack Sparrow played by Johnny Depp. 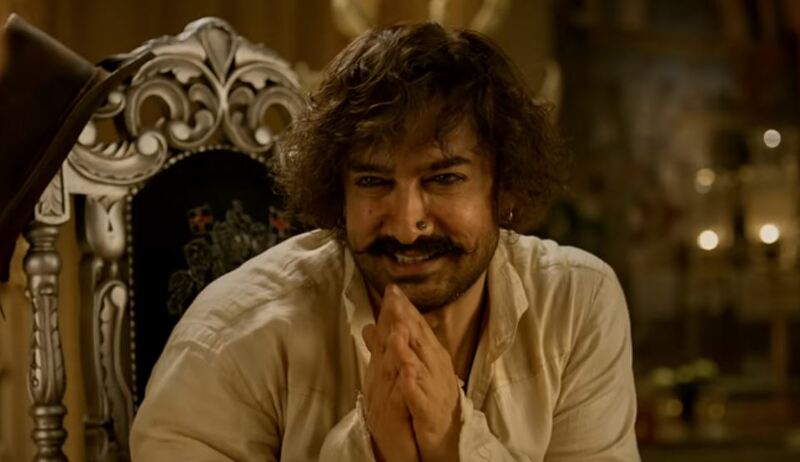 A huge budgeted film with a stellar star cast, it failed big time to impress the audiences. 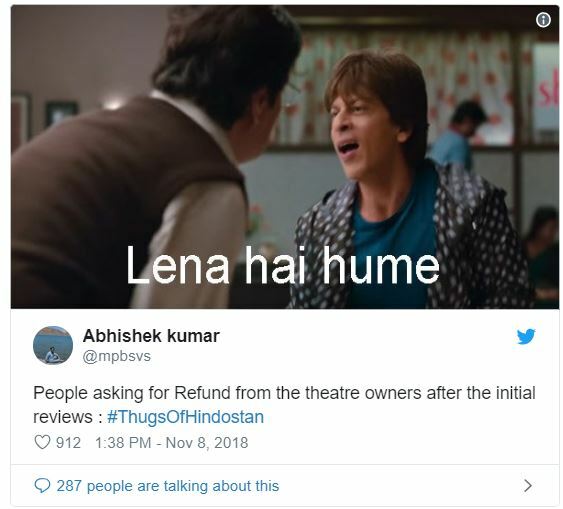 The movie is high on spectacle and action but it falls flat in terms of plot and direction. 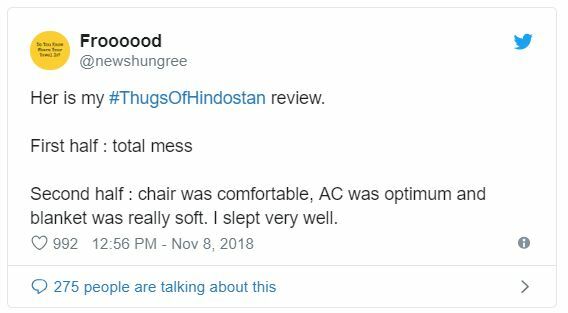 Thugs of Hindostan, the period drama merely focuses straight on Aamir’s character overlooking every other aspect like writing, screenplay, other character plots, acting, direction, and almost everything. 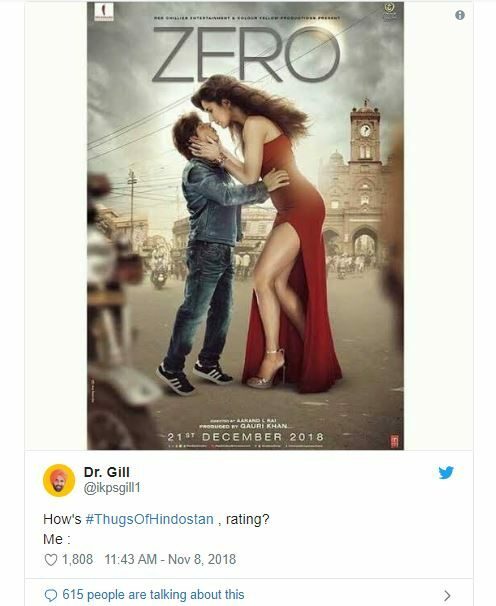 The director, Vijay Krishna Acharya who also happen-to-have directed Aamir Khan in Dhoom 3, again could not deliver a promising performance. 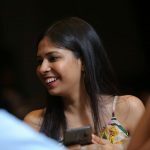 The movie’s first-day collection is known to be around 50 crores, marking this year’s highest opening for a Bollywood film. 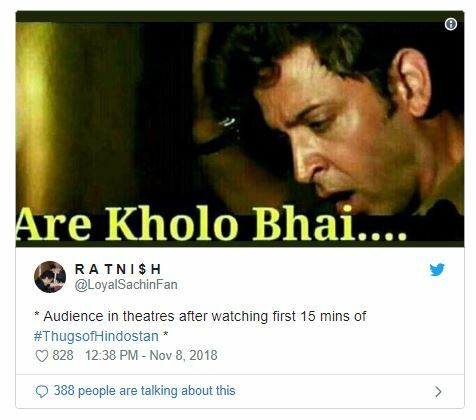 Most of the people who have seen the movie are busy trolling and venting out their anger on Twitter or other microblogging sites but where there was trolling on one side, there was also a bunch of people who also liked the movie and went on to call it Aamir Khan’s best performance to date, a sigh of relief for the ToH Team. 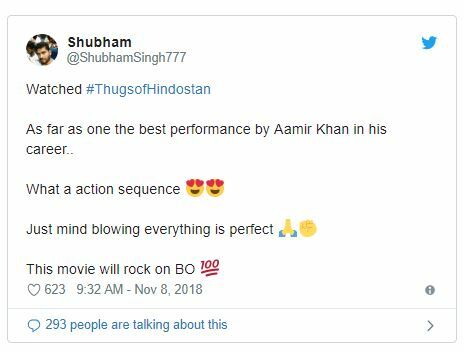 There were reports earlier which stated that Aamir Khan fans were coming down to India from China just to watch his movie on 8th November as China usually gets a delayed release of Bollywood films and they did not wish to wait that long. 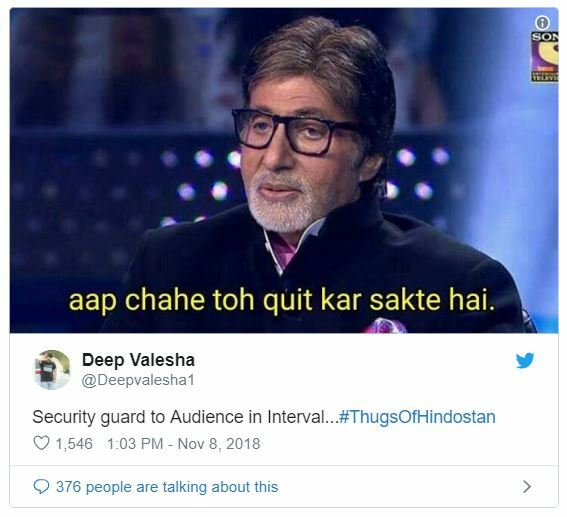 We hope, those fans did not go disappointed. 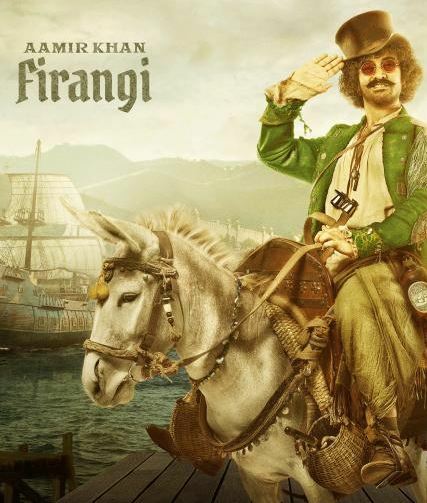 It is really sad that the movie that has such a rich cast which includes Aamir Khan as Firangi Mallah, Amitabh Bachchan as Khudabaksh, Katrina Kaif as Suraiyya, and Fatima Sana Sheikh of Dangal fame as Zafira underdelivered or maybe overpromised.